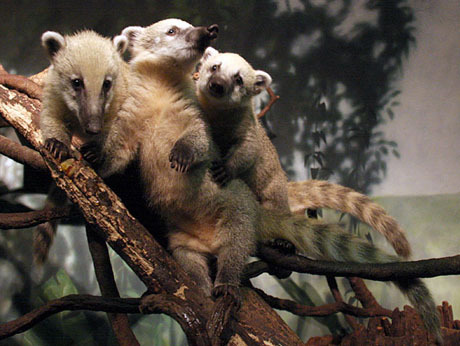 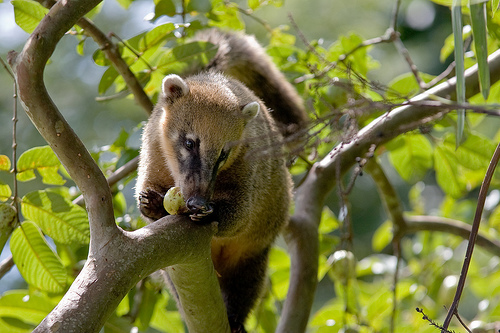 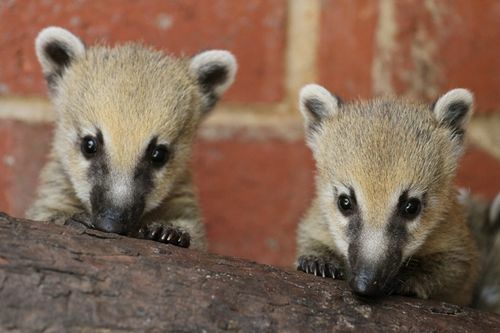 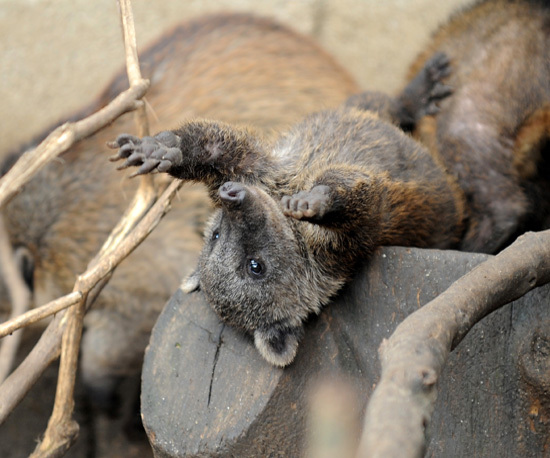 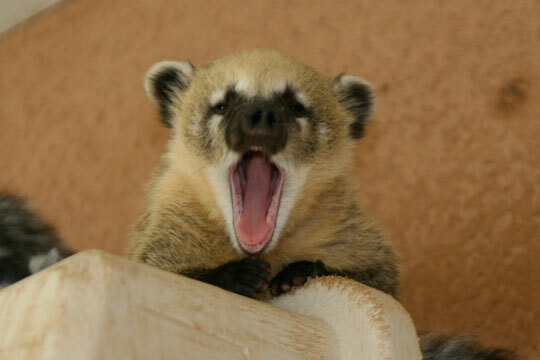 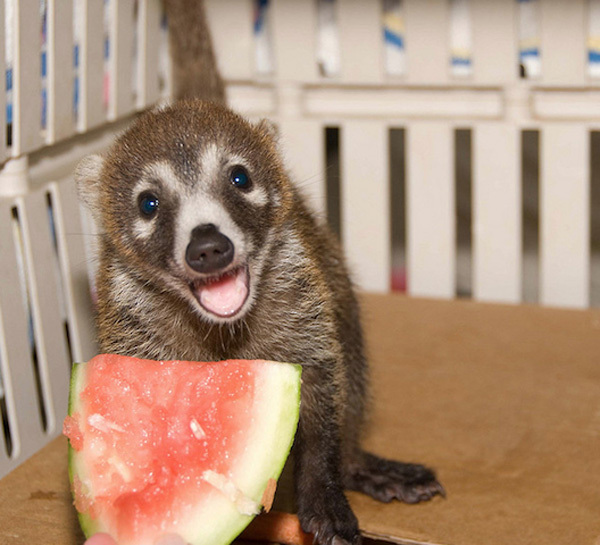 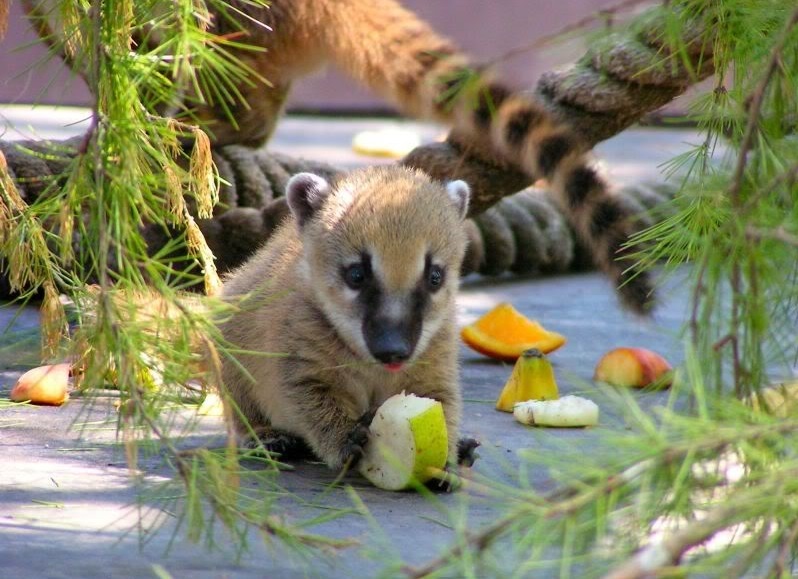 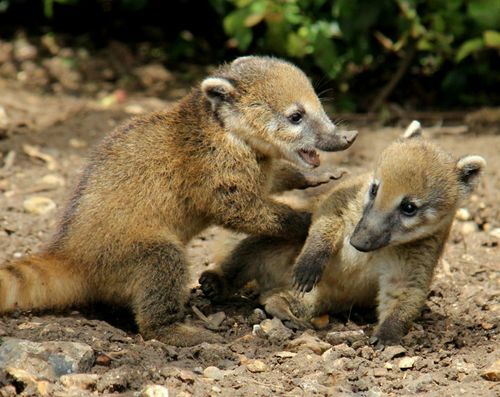 Coatis are members of the raccoon family and are native to the Americas, mainly South and Central America. 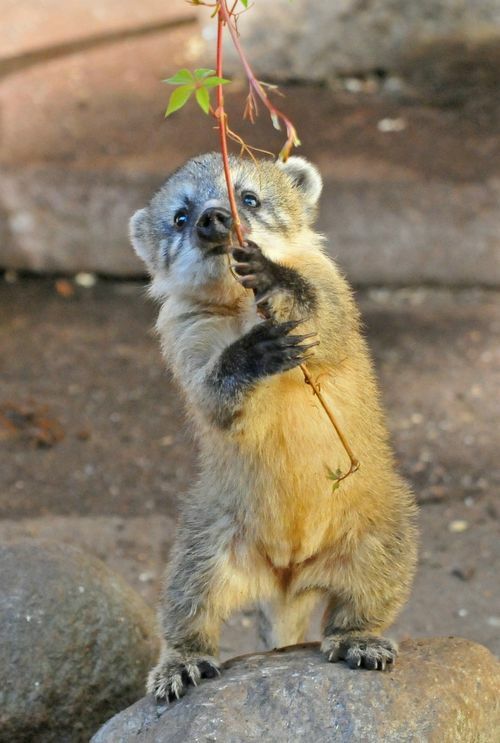 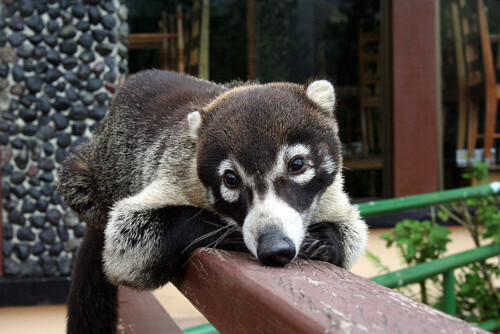 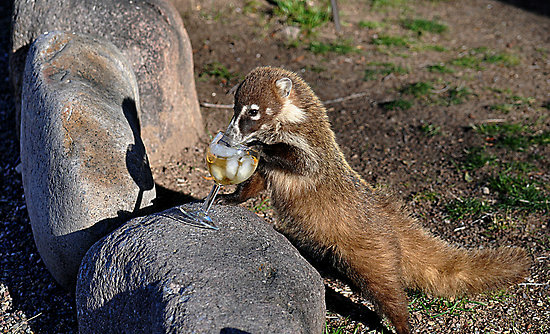 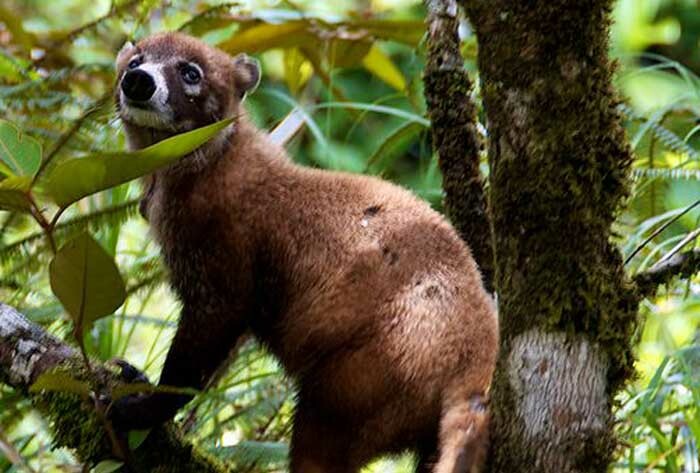 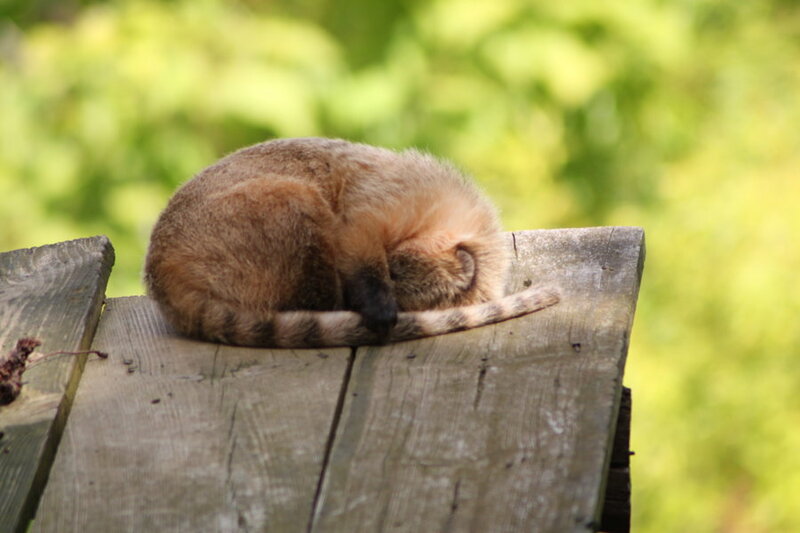 There are many species of Coatis and they each look a little different. 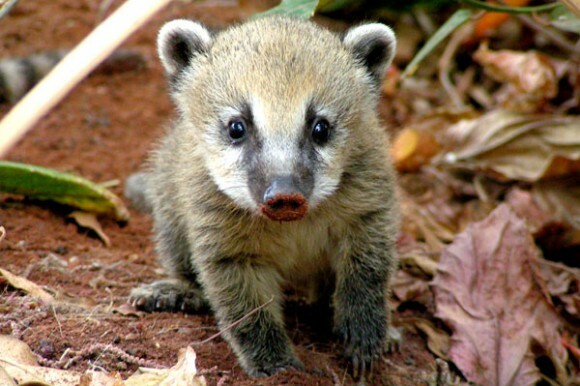 they are omnivores, have large noses that gives them super smell abilities, thick paws for digging, and very sharp teeth for as an added measure for protection.